Unfortunately this deal is no longer available as of 27 March – click here to read about the new $5.95 Big Mac Meal + Cheeseburger or click here for the return of the $1 Hamburger! 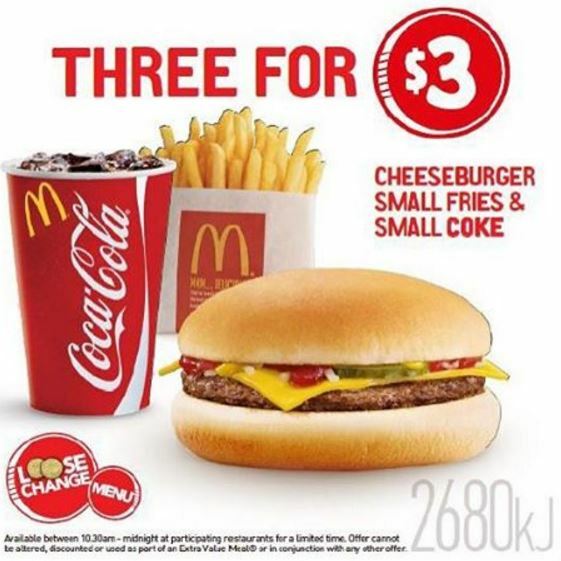 McDonald’s are bringing back their 3 for $3 Small Cheeseburger Meal deal for a limited time only – starting 27 February 2019! The deal includes a Cheeseburger, Small Fries and Small Coke for just $3.